Everybody knows that Santa has a fair distance to travel. Because of his age, he can hardly just hop on a bicycle – but a sleigh drawn by reindeers is absolutely acceptable. Father Christmas! 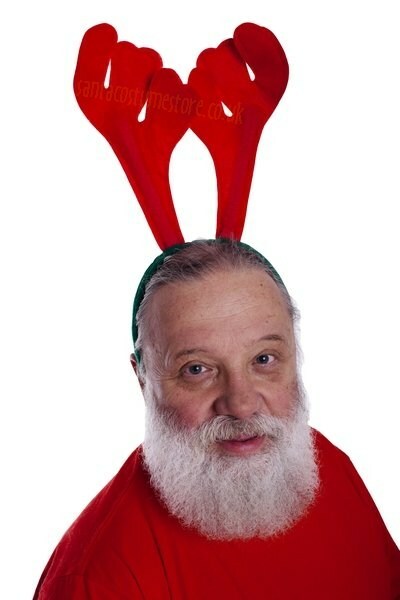 If you’re having problems getting your real reindeer all the way down from Lapland, why not suggest to your staff that they opt for our original costumes (although a little extra pay wouldn’t be frowned upon!). 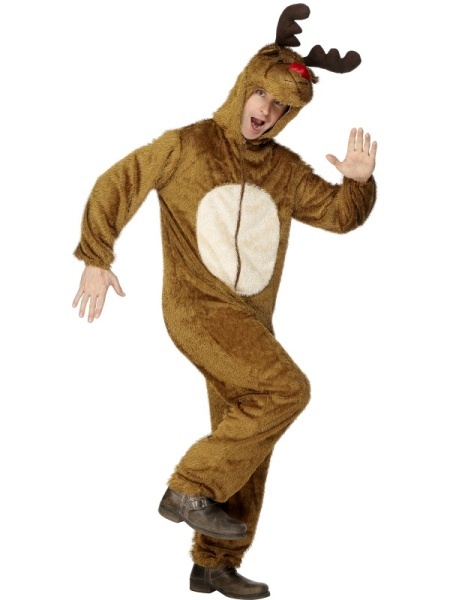 Our Reindeer costume is a single-part suit, done up with a zip at the front. The costume is made of a brown material that’s nice to the touch (and lighter in colour on the belly). Because the material is stretchy, it suits both the slim and the not-so-slim. Its sleeves and legs feature sewn-in elastic, meaning it can be worn by people of different heights (size M is suitable for those who are 5'7"-5'11"/ 170-180 cm tall, and size L – 5'11"-6'3"/ 180-190 cm). The head of a reindeer, with antlers and a red Rudolf nose, is sewn onto the suit’s hood – while at the rear there’s a cute tail. The trousers boast two pockets. Just a few such reindeer, and Santa will definitely manage to visit all the children during the time he has. NB: the costume does not include the footwear shown in the photo.